B U B B L E G A R M: Balm Cleansing! 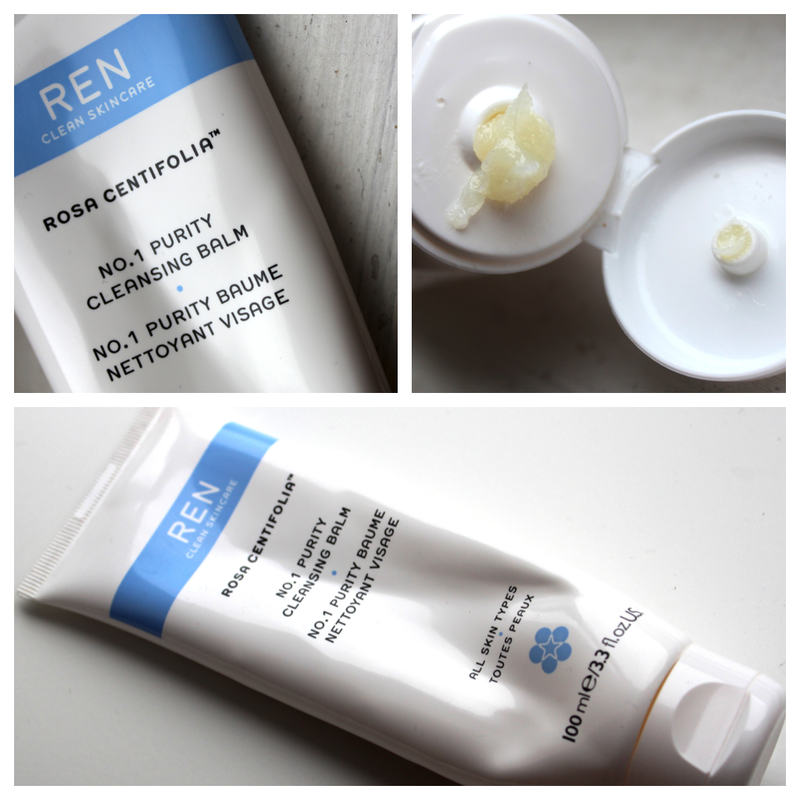 It seems I have a new obsession with balm cleansers, and I am currently loving the REN 'Rosa Centifolia' cleansing balm. Why? Because I actually feel like it's clearing up my skin whilst controlling my oily t-zone. I have watched and read 'Caroline Hirons' (skincare expert) bang on about avoiding foam cleansers because I quote: 'To get foam you need to use a surfactant - and a surfactant turns your skin alkaline. Alkaline skin is like a petri dish for bacteria'. Seems crazy right? Particularly when foaming cleansers are specifically targeted for oily skin. I know balm cleansing seems like a hassle as you have to stand there rubbing it in, but trust me it's worth it! The first balm cleanser I tried was years back and it was the Liz Earle 'Cleanse & polish' which seemed lovely although it was causing some sort of mild rash and I didn't continue using it. I took this REN balm cleanser on holiday with me to Antalya, but avoided using it as I felt like I was wiping my tan away (insert laughing crying emoji here) There's also the misconception that your adding oil to your skin is going to make you more oily. Infact no, clearly your skin doesn't have enough oil and works overtime to produce more oil thus making your skin oily. I have been using the REN cleansing balm for almost a month now, day and night on dry skin and removing with a damp hot 100% cotton crochet pad or a flannel, my skin is so much smoother, the small white bumps on my cheeks have almost disappeared, they have reduced drastically and I can't wait to see the results after using this method of cleansing long term. The cleanser is very thick in texture infused with natural oils and rose oil being the scent which is most detectable, there are no parabens, sulphates and fragrances so can be used with an eased mind. See REN website for more info. Link! Lesson for the day, ditch those foam cleansers! Thanks caroline. What are your views on cleansing balms? I have dry skin and love love love balm cleansers. I switch to an oil cleanser in the summer - haven't tried this Ren one though so will have to check it out. wonderlusting, what oil cleanser do you use? I'd really like to try this. I've usd liz Earle cleanse and polish for years but since becoming pregnant my skin has been a bit unpredictable and cleanse and polish felt a big harsh. I switched to ren hydra calm cleanser and I love it (there's a review on my blog) and I'm really interested in trying more by the brand. Haven't tried the balm cleansers yet, but I'm a huge fan of the Boscia make-up break-up cleansing oil. I have super duper oily skin and it's never looked better since I switched to the oil cleanser. My favourite is the Shu Uemura enriched cleansing oil - but it's pricey so i usually buy when Space NK have it on sale. The new cleansing oil from L'Oreal (who own Shu Uemura) is really cheap and works well but i find it a little more drying. My skin goes through a nightmare of a time whenever the season changes and this time, my skin has really struggled - going from excessively oily to dry and back again. Also extremely sore! I've used balm cleansers before such as Emma Hardie's but tended to save this for a treat as it is quite pricey. I read about the Body Shop's Chamomile Cleansing Butter on a blog and decided to give it a try as it was much more affordable. My skin is so happy at the moment! To be quite honest, I've never tried a cleansing balm in my life. I have tried cleansing oils from the past (Shu Uemura and MAC) and I find them just okay. I have combination and oily skin so I tend to go for salicylic based cleansers. I have some cystic pimples and acnes around my chin and I'm looking for a cleanser that will help me clear that out. Your review made me so interested with this product. I will give this a try and will let you know how it will work out for me.